“I appeal to the Italian Government to help my family and me get out of Pakistan”. This is the dramatic plea which Ashiq Masih, Asia Bibi’s husband, made by phone to Aid to the Church in Need. While his wife remains in jail waiting for her acquittal, the family lives in fear. 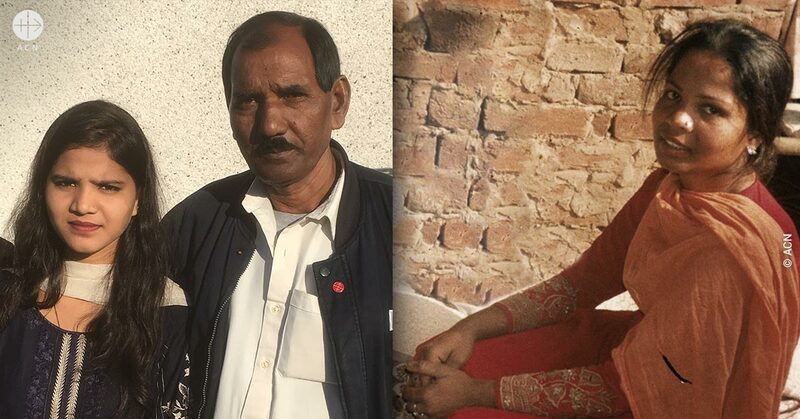 The protests of fundamentalists who continue to demand her execution have forced Asia Bibi’s relatives to confine themselves to a safe place in the house. In the past few days, Saif ul-Malook, the lawyer defending Asia Bibi, has been forced to leave the country. “We are extremely worried because our lives are in danger,” Asia Bibi’s husband told ACN. “We no longer have even anything to eat, because we can not leave the house to buy food.” For this reason Ashiq asks the Italian government to grant them asylum and above all to help them leave the country. At the same time he invites the media and the international community to continue to keep a spotlight on his wife’s plight. “For it is precisely this attention that has kept Asia alive to date. I thank Aid to the Church in Need in particular for giving us the opportunity to speak to the world through the invitation to attend the “Red Colosseum” (Rome 24th of February 2018 ACN Event – Illuminated Coliseum in red).